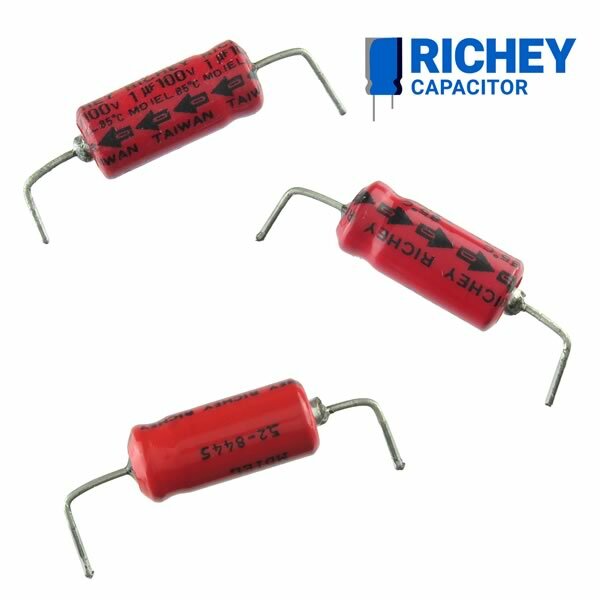 Compact Richey 1uF 100VDC electrolytic capacitor is only 0.25" diameter x 0.858" long. Rated 85°C. Has 2 short axial leads (1" pitch) that are pre-bent for PCB insertion. Sold in a package of 10.